There’s nothing like America’s favorite family-friendly, safe yet savvy car—the Toyota. 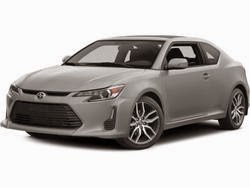 From sedans to hybrids to SUVS and trucks, its Toyota related to the widest variety of models to make almost everybody happy look for a new car. Toyota’s are not only noteworthy and familiar, but efficient and reliable as well. They are an iconic figure for automobiles, with impressive features that range from heated seats to Bluetooth and navigation as well, Toyota’s are almost guaranteed to have what you need always. 1 Prius: An EPA-estimated 51 MPG city and 48 MPG highway, 50 MPG combined, according to Toyota, makes the Toyota Prius a top choice for consumers who want an efficient vehicle. There are four different Prius models from which to choose, including the Prius, which was the first available model in the Prius lineup. The compact Prius C follows, along with the larger Prius V and the Plug-In, which gets an EPA-estimated 95 MPGe, according to the official Toyota website. 2 Corolla: The Corolla sports a compact design while still maintaining comfort. This vehicle reasonably seats five passengers with loads of trunk storage space. It’s the perfect car for cruising whether in the city or suburbs, with various models to choose from such as the L, LE, LE ECO, and S.
3 Camry: The Camry has plenty of room to sit five adults, with plenty of room in the front, back and lots of trunk space. Largely considered the family car, according to Toyota, each gasoline powered model gets around 35 MPG highway, with the hybrid getting 40 MPG. The Toyota Camry model consists of the L, the XLE, the LE, the SE, and several Hybrid versions. 4 The Rav4: The Rav4 is the smallest SUV in the Toyota lineup, but it has plenty of space to comfortably fit up to five adults. There is also a spacious trunk that allows for bikes, luggage, supplies, and other larger items. There are three models from which to choose: the LE, XLE, and Limited. On newer cars, standard features include ECO/Sport modes, all-wheel drive on demand, and a backup camera. 5 The Tundra: The Tundra is a full-sized luxury truck with the capacity to seat up to five adults with plenty of space for hauling large equipment and supplies. There are five models of the Tundra available, ranging from the base model SR to the 1794 edition. Then there is the SR5, Limited, and Platinum that make up the other options. Why Should You Buy a Toyota Pre-owned Car?